31 ACRES - Flat Developable Acreage With Highway Frontage Just 200 Meters From The Beach!!!! This 31 acre gem is strategically positioned next to a large protected area and along one of Costa Rica\'s most precious sections of coastline, where the mountains meet the sea! It is just north of the Costa Ballena and fronts Costa Rica's southern coastal highway. Terrain is flat with walking trails throughout. It comes with an old sawmill, electricity, water, internal roads, and has a protected area between it and the beach. Amazing property that is only a 5 minute walk to an incredible beach where you can walk for miles, or catch a wave, or just hang out in a hammock reading a book and letting the day pass by. Short drive or walk to village of Dominical, and only 3 hours to city of San Jose. 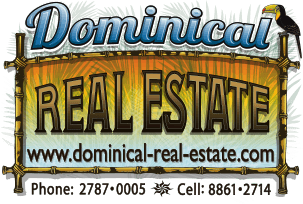 What an opportunity this land offers.It is perfect for a mixed use commercial and eco-residential community due to its location bordering both the coastal highway and Hacienda Baru National Wildlife Refuge . Costa Rica is famous for its protected areas, conservation and eco-tourism and this lot offers easy access to all of that and more. You are within a short walking distance to a Sea Turtle Nursery, Biological Research projects, and local environmental education programs. Do not hesitate to contact me for more detail and an on site tour!